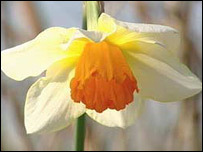 Trials are being carried out in mid Wales to see whether daffodils could be farmed there to produce a compound used to fight Alzheimers disease. The compound called galantamine has previously been collected from plants in the wild and has been found to slow down the progress of the disease. A six month trial on seven sites in the Black Mountains is currently under way. Why Wales? Daffodils there appear to have a particularly high level of galantamine. Pink flamingo endangered? The end of an era. 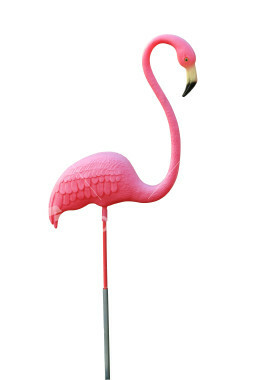 …the original version of the plastic flamingo may be singing its swan song after inspiring countless pranks — and being alternately celebrated as a tribute to one of nature’s most graceful creatures and derided as the epitome of American pop culture kitsch. Union Products Inc. stopped producing flamingos and other lawn ornaments at its Leominster factory in June, and is going out of business Nov. 1 — a victim of rising expenses for plastic resin and electricity, as well financing problems. November 2, 2006 Posted by oldstersview | Uncategorized	| Comments Off on Pink flamingo endangered? The end of an era. A Wolverhampton man has spent 25 years and £100,000 [about $180,000] on turning a £60 [$100 jalopy] into the world’s fastest car. Andy Frost has turned his 1972 K-reg Vauxhall Victor into a supercar capable of 0-60 in just one second. Third class, I assume. First class is too expensive. A prisoner wrapped himself in a large parcel and posted himself to freedom from a jail in Austria. Bosnian Muradif Hasanbegovic, 36, was serving a seven-year sentence for robbery in the Karlau prison, near Graz. He escaped from the workshop where he helped package and post parts for lampposts. The man packed himself up in a parcel, and other convicts loaded him onto a lorry. Once clear of the prison he broke out of the parcel, jumped off the back of the lorry and fled. Hasanbegovic is still on the run. November 2, 2006 Posted by oldstersview | Uncategorized	| Comments Off on Third class, I assume. First class is too expensive.